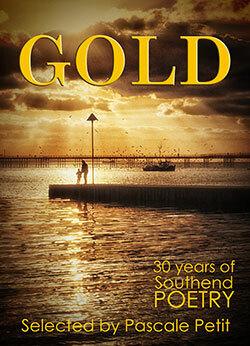 Southend Poetry 34, the latest anthology from the Southend Poetry Group, is now printed and available. I was very pleased with the outcome of our AGM last Wednesday, 6th June. Thanks to all of you who made the effort to attend, including Simon and Sue who returned after visiting our Group the previous month.We had a lively discussion where many of us discussed our views. It is so good for the Chairman and committee to hear these views as it is your Group and suggestions are very welcome.I feel we have had a good year so far with some excellent talks,' read a rounds' and our annual workshop, where some amazing poems were produced. The remaining programme is also looking very good with just a slight amendment in November for the second half of the evening, where Laurie will give his talk on Japan culture, poetry and haikus next February 2019, instead as currently advertised. At the AGM, after Treasurer Colin commented that we may be running at a slight loss this year even though we have a reserve amount in the bank to fall back on if required. John ( Barr) suggested that an annual membership fee of £20.00 could be introduced instead of paying £2.00 per month. Dorothy was also quite interested in this idea. However we looked into this and decided it would cause a lot of work for our good Treasurer, who I must point out, is a volunteer and who already must spend hours of his time keeping our accounts. Also to help funds, we must resolve to sell many of our excellent Anthologies to cover the cost of publication.Our thanks to member ,Shelley, who took 10 copies to promote some sales. Dorothy was also thanked for all the time and effort she puts in to achieve this for us. I put in the suggestion there should be no free attendances for the AGM meetings and first time visitors which was backed by Simon, but this was over ruled. Speaking of thanks, we must thank member Derek (Adams ) a professional photographer who has won many awards, who although now living in Sudbury, has provided the beautiful cover for our Anthology and also prepares our Web site. Sincere thanks Derek from us all. We also discussed other venues which may prove cheaper for our meetings. Sue (Lessor ) told us about 'Molo Lounge' a large corner Café in Southend High Street, opposite the old Post Office. Paul and I had visited this venue the previous week for an excellent poetry evening hosted by the talented Pablo, in aid of Harp, but I found it a bit restricted for our Group Also they have another poetry session there on Wednesday evenings. Hazel and others expressed complete satisfaction with our present venue which after all is cosy, has a bar, plenty of parking and we are privileged to be allowed here due to member Mervyn's affiliation to the Naval and Military Club, so we decided to stay put.All present Chair and committee members were re elected . We are so proud to represent our Group . Adrian pointed out that is quite a unique Group in that it offers talks and studies of other Poets as well as reading our own poetry plus 2 well known poets coming to us for the Poetry Festival . As usual there are many Open Mike sessions on offer in Southend including our own on July 4th , where we have a microphone and compère arranged for you . 1) One I always mention is on the 2nd Tuesday of the month, 7.30pm at Peggy Sue's café, 1063 London Road, Leigh where it is hosted by Jay Laker. Jay gives equal encouragement to all and is a talented poet in his own right. 2) There is a Leigh community cultural event tomorrow ,11am-4pm at Bonchurch Park Leigh, Sunday, 10th June where bookstands and ideas will be on display. 3) At the ancient St Clements Church in Leigh , on Thursday 21st June at 8 pm there will be a Poetry By Candlelight free event , hosted by Peter Monk . 4) On Saturday 7th July at 7.30, at St. Michael's And All Angels Church, Leigh Road,SS9 I LF there are classical poems read to the background of music by Elgar, Finzi and Rutter. It is called ' Nature's Voice'. The tickets are £12.00 and further details are available on 0175 14166694. Best to check your web sites for other interesting events , especially Cat Howe and others who organise really welcoming poetry evenings. 5) Local Authors Day will be at the Forum on Saturday,July 7th,10 am - 5pm where we have our books on sale. Dorothy will be grateful for any help offered.6) Finally , I must mention member Robert Hallmann's photographic exhibition at the Beecroft Art Gallery, Victoria Avenue Southend. Congratulations on this Robert, together with the book you recently published with Mervyn, which I understand is for sale at the Gallery.